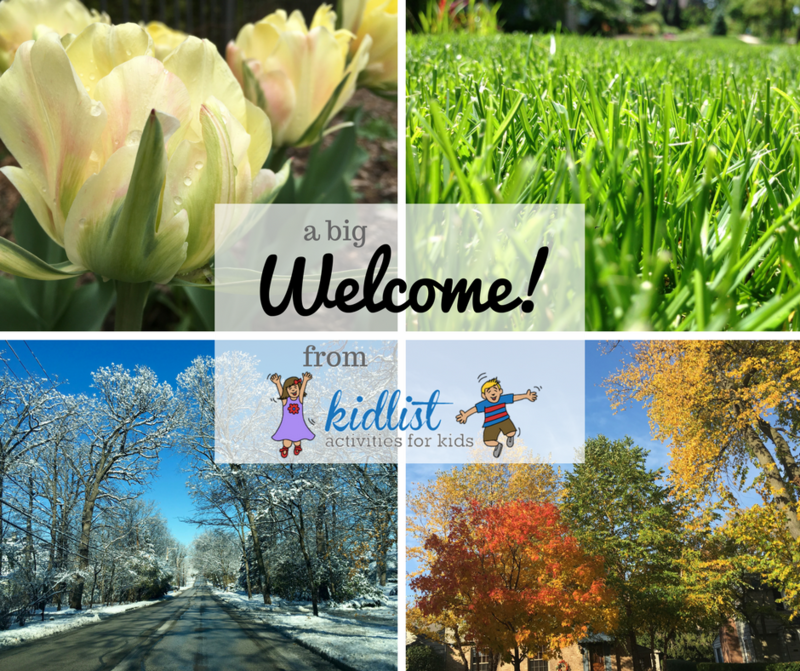 If you are new to Kidlist, new to the Chicago suburbs, a new parent, or looking to welcome new neighbors, this list will come in handy! You’ll find ways to meet other parents, local places for indoor and outdoor fun with your family, resources for birthday parties, family photographers, preschools, daycares, where to eat, and more. Welcome to the area! First, we want to bring your attention to the region selection up top. You have the option to choose West, Southwest, or All. Once you make your selection, the purple dialog box will disappear and the entire site will customize the experience for you. You will only see articles, guides, and event calendar listings for the area you are interested in! Your computer or phone will remember the selection you have made until you do a software update. Get an idea of what kind of helpful kid-friendly content you can find on Kidlist below! If you click on the area headings it will jump to that section. Want to know what towns in the western suburbs Kidlist covers? Click here for a list of local towns that we cover. Local parent meet ups and mom’s groups are a great way to get acclimated to the area! Check out reader picks for the best parks and playgrounds and the best forest preserve trails for kids. Want to enjoy the winter weather? Find outdoor ice skating rinks and local sledding hills. We have all the info on fruit picking near our area! The season kicks off with u-pick strawberries. Next is blueberries, then you can head to an apple orchard to pick apples. See a comprehensive list of summer festivals in the near western suburbs. Fall brings pumpkin patches, fall festivals and oktoberfests. Splash and play at local splash pads and spray parks. Catch some thrills at one of these Chicago area amusement parks. Our guide for farmers markets includes all of the markets in the near western suburbs with locations, schedules, a free printable with markets by day, and tips for buying in-season food. Meet your neighbors and enjoy live music, fresh air and free entertainment at a Summer Concert Series. Click here for the full list of outdoor fun in the near western suburbs, including a list of mud-free playgrounds, where to get free ice cream in July, kite flying events, miniature golf courses, art festivals, outdoor movies, and so much more! Burn some energy and have fun at these play spaces. When the weather isn’t cooperating, it’s great to be able to swim at one of these indoor pools with family swim times. Skate around at an indoor ice rink, knock down some pins at a bowling alley, and let your kids jump and play at an open gymnastics gym. See all of the museum free days and other discounts for the entire year. There are great nature centers around here where you can explore, learn and play. Want age recommendations and features of each children’s museum in the area? We’ve got that too! Bounce around at a trampoline park or at a location with inflatables. If you are trying to figure out if a local museum or zoo membership is worth it, be sure to check out our assessment of each membership. Click here for the full list of indoor activities in the western suburbs, including theater productions for kids, indoor water parks within driving distance, conservatories, family-friendly afternoon tea, and more! Wondering what to do for your child’s birthday? We have a huge list of birthday party locations and entertainment options to make it special. Readers weighed in for this list of the best bakeries for birthday cakes. There are wonderful local family photographers to capture your special moments! This guide includes samples of their work, contact information, and descriptions of what they offer. Looking for a preschool, daycare, or preschool with extended care? Let us make your search easier with this guide of all of the local schools with locations, phone numbers, and websites for reference. We know little ones can be overwhelming at times, especially trying to find classes that are perfect for their age group. There is a list for that! Classes for Little Kids 0-5 years old. Find info about dance, swimming, music, gymnastics, soccer language, art, and other resources you will find helpful. Interested in homeschooling? Find other local homeschooling families and connect within the neighborhood. In the Homeschooling Guide you will find a Q&A, along with resources, groups, co-ops, classes, activities, and sports geared towards homeschooling families. Click here for the full list of classes for kids in the western suburbs of Chicago, including art, basketball, cooking, dance, gymnastics, ice skating, martial arts, music, safety villages, soccer, swimming, volleyball, and yoga. Shop local at farmers and/or french markets in our area! Get the schedules, free printable with markets by day, and tips for buying in-season food. Our area has a lot of great restaurants, but these destination restaurants are so fun and/or unique that you’ll want to make a special trip. Need a break from cooking? Check out on of these local meal delivery options and places to put together dinner kits for your freezer. Kids Eat Free in Chicago’s Western Suburbs! You can find a restaurant every day of the week in this guide. Train restaurants deliver your food on a model train. Get the low down on each and satisfy your train lover! Click here to be taken to the Kidlist calendar, full of events for the whole family. Don’t forget to choose your region to filter the calendar by area. Kidlist offers half-price tickets for numerous local performances and entertainment! You can periodically check this page for all of the upcoming deals and book discounted tickets. Want more local, family-friendly ideas? Want to know what towns in the southwest suburbs Kidlist covers? Click here for a list of local towns that we cover. See a comprehensive list of summer festivals in the southwest suburbs. Catch some thrills at one of these Chicago area amusement parks with the features of each. Our guide for farmers markets includes all of the markets in the southwest suburbs with locations, schedules, and a free printable with markets by day. Click here for the full list of indoor activities in the southwest suburbs, including theater productions for kids, indoor water parks within driving distance, conservatories, family-friendly afternoon tea, and more! Shop local at farmers and/or french markets in our area! Get the schedules, locations, and a free printable with markets by day. Kids Eat Free in Chicago’s Southwest Suburbs! You can find a restaurant every day of the week in this guide. Be the first to comment on "Welcome to Kidlist! The Kid-Friendly West and Southwest Suburbs"